ANSI Z87.1 certified safety glasses undergo intensive testing to ensure they'll protect eyes as expected. Tests include... Basic and high-impact for lenses and frames. Exposure to non-ionizing radiation and chemicals. Durability to flammables and corrosion. 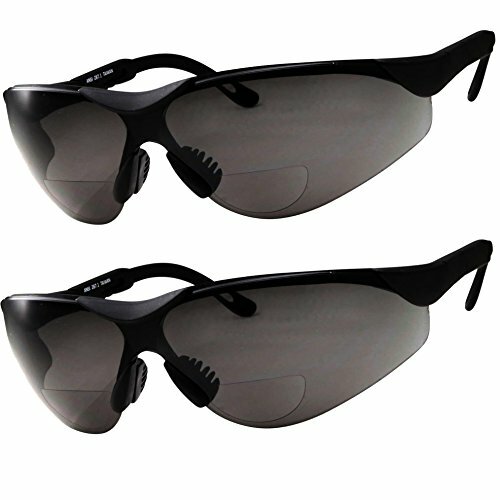 Biker bifocal safety Sunglasses +1.50 are equipped with high quality safety rated ANSI Z87.1 impact resistant polycarbonate smoke lenses with anti-scratch resistant. Rubberized ear pieces provide wiggle free snug fit. Now you can play a round of golf, tennis, baseball, run, cycle, hike, or just lounge by the pool and be able to read maps, scorecards, menus, GPS or smart phone without switching glasses. The Puma bifocals are slightly smaller frames and one of our most popular bifocal readers for ladies. Fits SMALL to MEDIUM heads - very versatile frame. 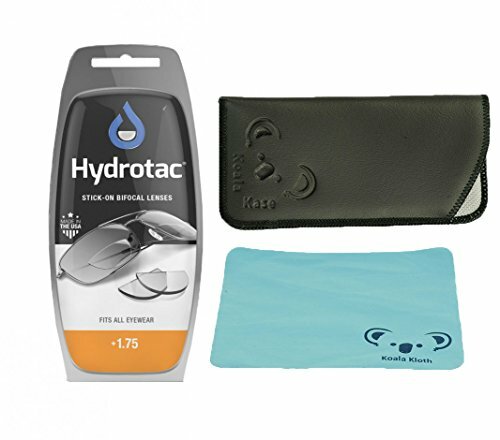 Free microfiber cleaning case is included. 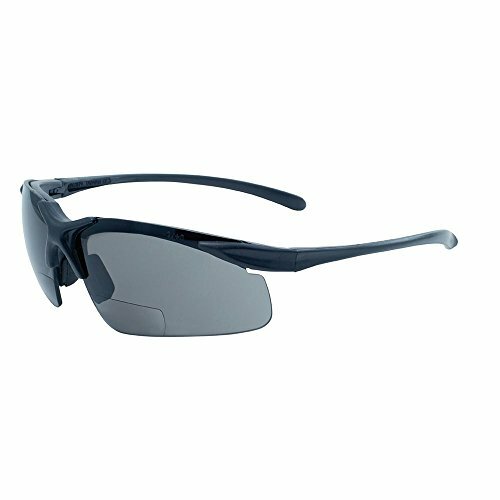 This pair of readers acts as a sleek and sporty pair of sunglasses but also has a built in magnified bifocal to help you read outdoors. 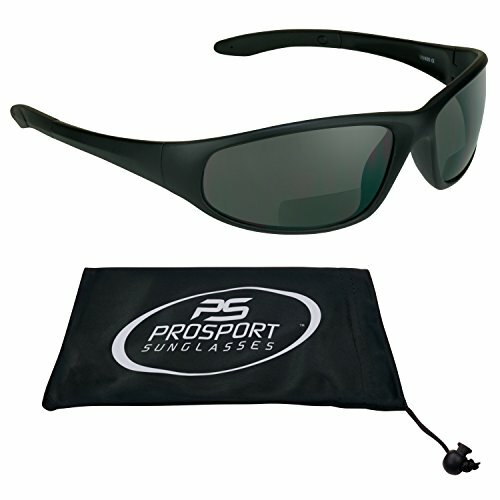 Whether you are enjoying a long drive, a day at the beach or your favorite book under the beautiful sunshine, you will do so comfortably because of the light weight wrap around style of these sunglasses. A soft pouch is included. 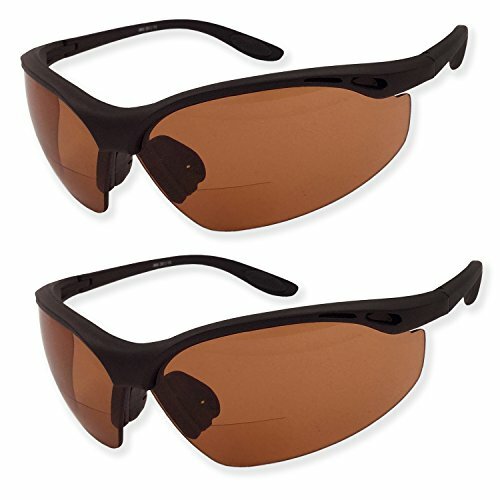 2 Pack - Brown Driving Lens Safety Sunglasses with Magnification Diopter Molded into Inner Corner. 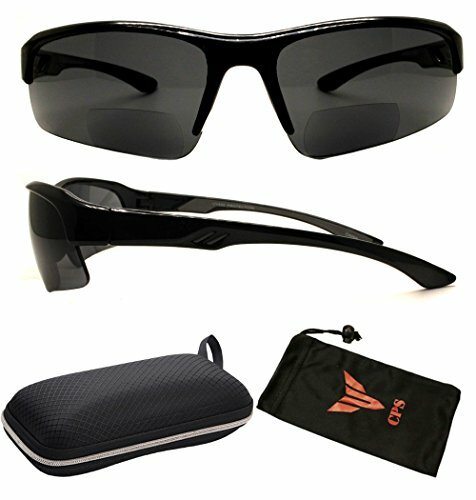 Specially Designed Lens to Block out Blue Light and Enhance Other Colors. 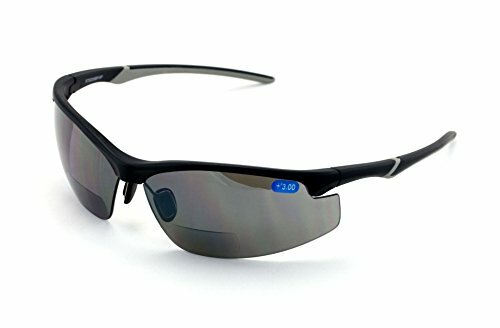 Polycarbonate Impact Resistant Lens, ANSI Z.87.1 Certified. 100% UV400 Protection Against Harmful UVA/UVB Rays. Special Wrap-Style Design with Curved End Grips and Rubber Nose Piece for Secure Grip. Make your safety goggles into bifocals instantly!